Take the Zero to Hero Challenge at Sairee Cottage Diving! 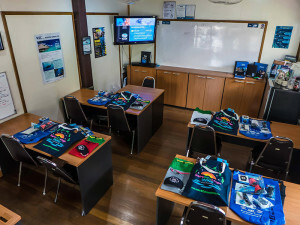 The PADI divemaster training is best suited for those who need a lifestyle change! Are you bored with your everyday job? Want to get away from the cold weather? Have a passion for diving and the eco system? Want the chance to work in some of the most amazing locations in the world? Sairee Cottage Resort offers rooms directly on Sairee Beach. Depending on your budget, you can choose from a range of rooms. Starting with basic wooden bungalows to exclusive poolside rooms with air conditioning. You are welcome to stay with us in Sairee Beach while you work on your diving career, be it Divemaster or PADI Diving Instructor. We can also help you to find a nice house on a monthly bases. Choosing the right Koh Tao Divemaster program can be tough. 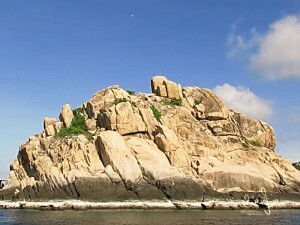 Whether it be Plane, Train or Automobile, the journey to Koh Tao, Thailand can be tiresome. Regardless of your method of travel you are guaranteed to take a 2 hour ferry ride to get to the tropical island paradise that awaits. 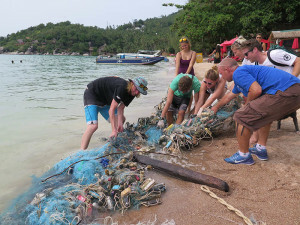 Take a look what it’s like to be part of an eco day during your divemaster course Koh Tao! During your divemaster course Koh Tao at Sairee Cottage Diving, you will have a chance to learn more than just the bare minimum. We highly focus on eco conservation and education. Being a PADI Divemaster Koh Tao at Sairee Cottage Diving, I am lucky to dive every single day. This is perfect, because I come up from every dive thirsty for more. Having already dived Chumpon Pinnacle multiple times, I am in awe with the fact that it can still surprise me.